Unusual Metal Tiered Stand, Booth 64, $35.00. 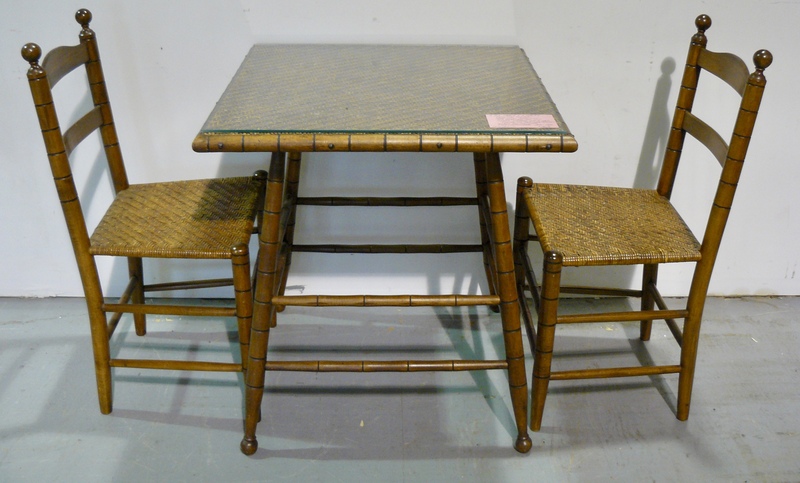 Excellent Wicker Table and Chairs – Stamped/Marked – Glass Topper, 1900 – 1910, $190.00, Booth 17. 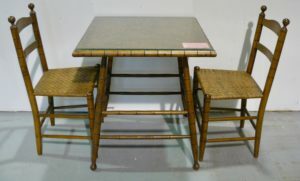 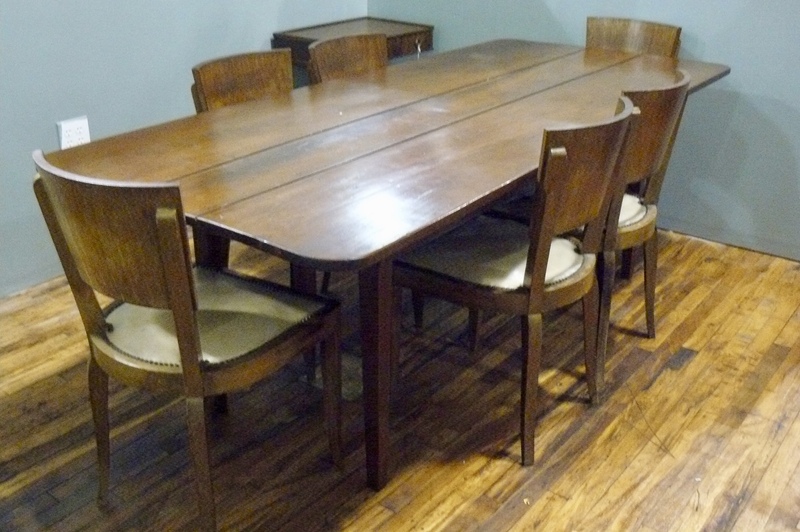 7 Foot Pine Farm Table – $750.00 – Booth 100 – Chairs, Sold Separately – Booth 11, Mid Century Bistro Chairs from Paris – $600.00/6. 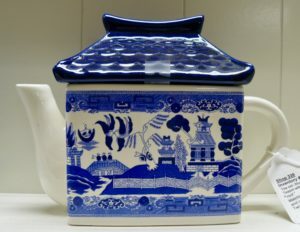 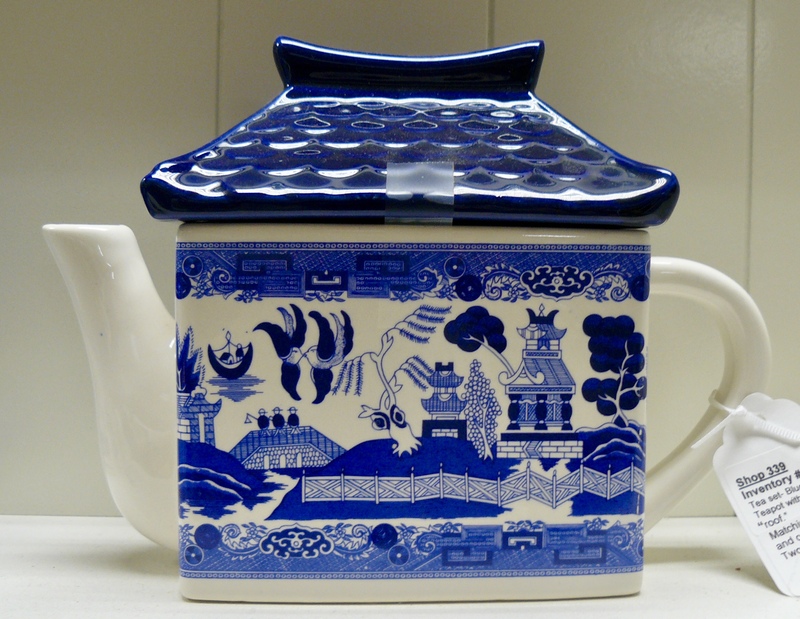 Blue and White Teapot w Creamer, Sugar and Two Mugs (Not Shown), Booth 339 – $60.00. 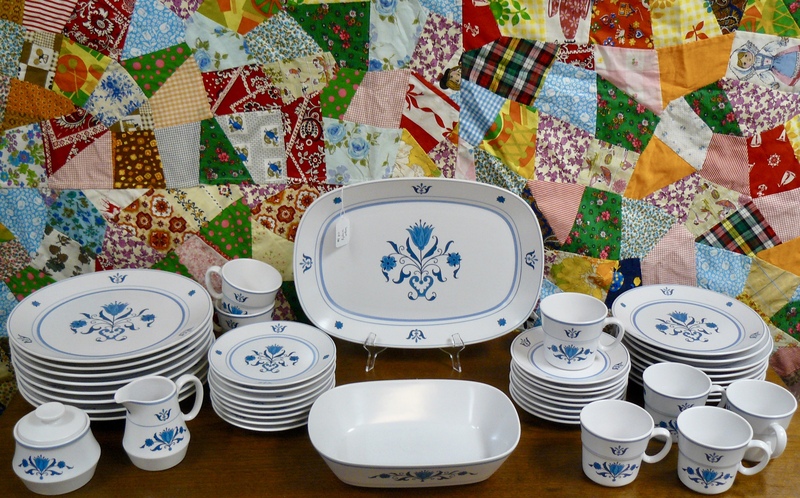 12 Piece Set Arklow China – Made in Ireland – Has Hunt Scene – $60.00 – Booth 66. 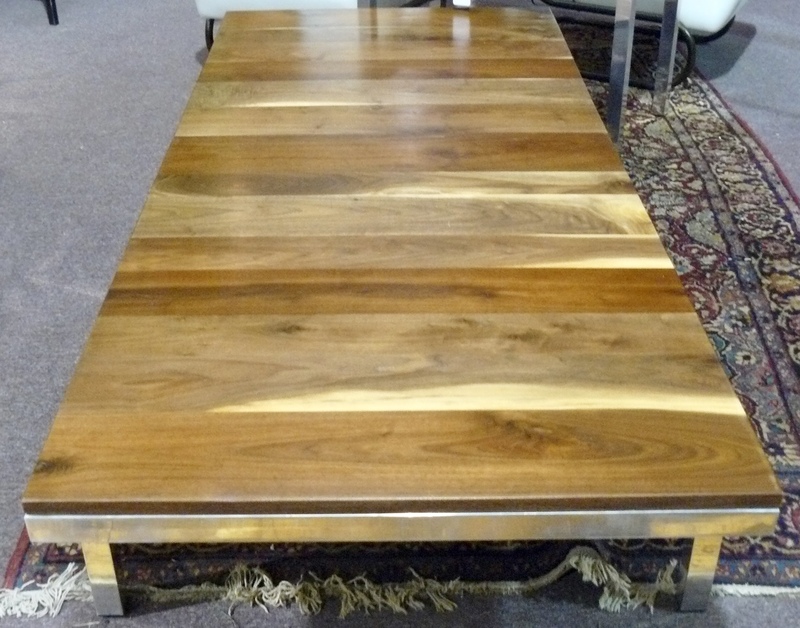 HUGE Black Walnut Coffee Table w Chrome Legs and a Matching End Table (Not Shown), Booth 111 – $450.00/Set. 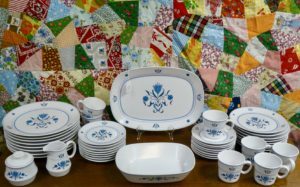 44 Piece Set Noritake China – Just in Time for Thanksgiving!! 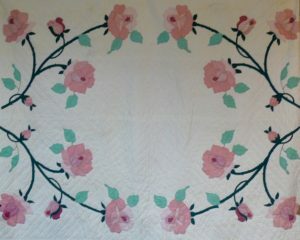 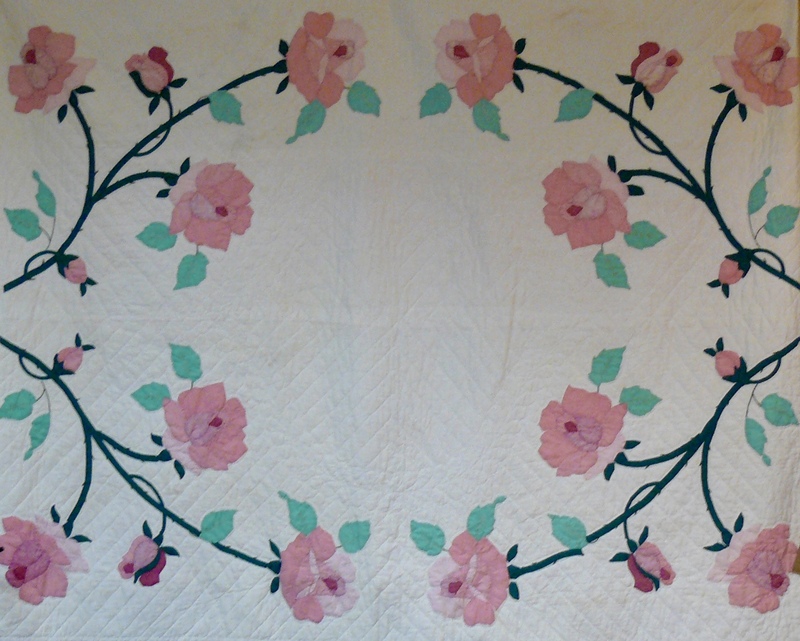 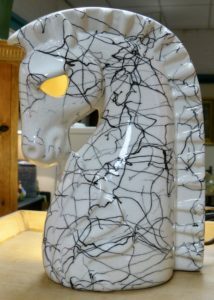 ‘Progression’, $70.00 – Booth 31. 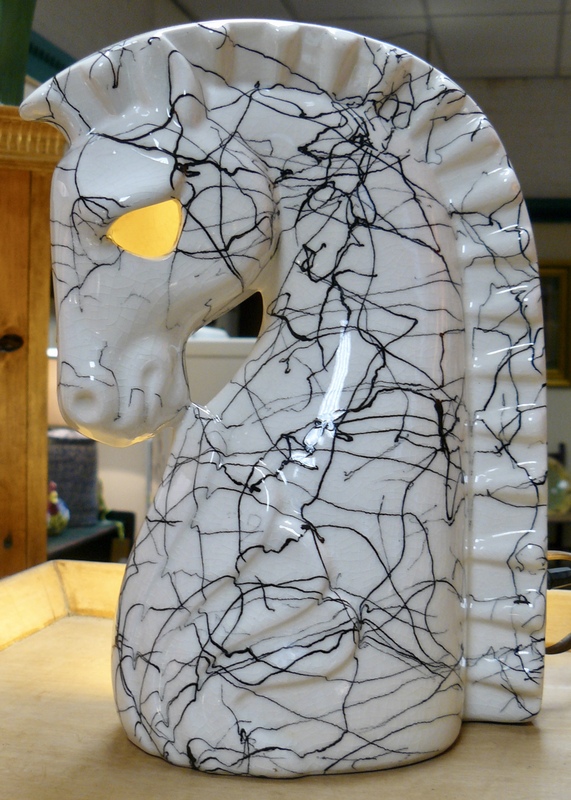 Very Cool TV Lamp – Booth 150 – $55.00 – NOW 20% off! 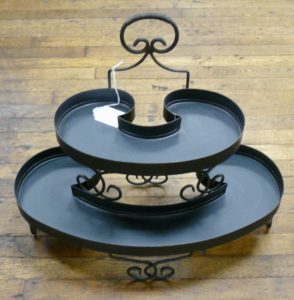 ‹ HUGE 14″ Skillet, an Early Blanket Chest and a 12 Gallon Crock!